The Mekong Delta “Nine Dragon River Delta” is the region in southwestern Vietnam where the Mekong River approaches and empties into the sea through a network of tributaries. The Mekong delta region encompasses a large portion of southeastern Vietnam of 39,000 square kilometers (15,000 sq mi) . The size of the area covered by water depends on the season. 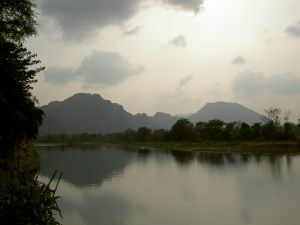 We offer you Mekong tours below itinerary. Brief description: Drift down the busy branches of the Mekong and into the peaceful canals. Visit an island orchard, see the daily life of farmers and try exotic seasonal fruits unique to the region. See what life is really like for Mekong locals by exploring a quiet island on foot, take a sampan cruise on small waterway. We call on coconut-candy workshop and visit a bee farm to try some honey with rice wine or tea. Brief description: A boat for a journey through the town’s floating market.See how river life goes on, trading between merchant ships and local farmers.Cruise through secluded canals and over the Mighty Mekong to island where we stop to enjoy seasonal fruits. Drive to Cai Be, boat trip visit floating market and cruise over mighty Mekong river to island , promenade around fruit orchards, boat to VinhLong. Coach trip to LongXuyen, explore the village making incense stick before heading onto ChauDoc for the first night. Brief description: Can Tho, Chau Doc, Saigon and My Tho - Take boat and cruise on Mekong and Rach Ngong Rivers observing the local life and natural beauty of countryside. Visit floating markets, fruit orchards and fish-breeding villages on the course. Other major sightseeing spots include Vinh Trang Pagoda, Sam Mountain, Lady Xu Temple, Thoai Ngoc Hau Temple.